Traxxas Stampede 4x4 VXL • (Radio Controlled Model Archive) • RCScrapyard. RCScrapyard ► Iconic Vintage Radio Controlled (RC) Model Car Archive ► Traxxas Stampede 4x4 VXL Brushless. Introduced by Traxxas in 2010, the Stampede 4x4 VXL Monster Truck - # 6708 - was "RC Car Action" Truck of the year 2011 and came RTR with a Velineon 3500 Brushless Motor, Velineon VXL-3s ESC and TQ 2.4Ghz radio system. In 2012, the Stampede 4x4 VXL - # 6708L - was upgraded with a "Power Cell" LiPo Battery and LiPo "Balance Charger". 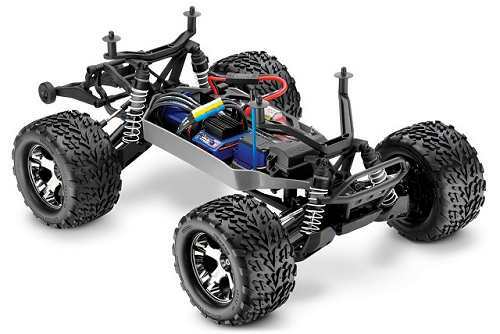 A revised version of the Stampede 4x4 VXL - # 67086 - was produced in 2014, with the TQi 2.4Ghz radio system and was revised again in 2015 - # 67086-3 - with the "Traxxas Stability Management" system. 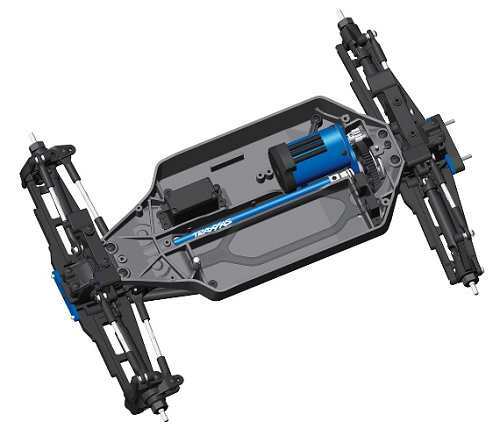 The Traxxas model is shaft driven 4WD, on a nylon composite chassis, with gear type differentials, coil spring over oil filled dampers, universal joint drive-shafts and ball bearings. 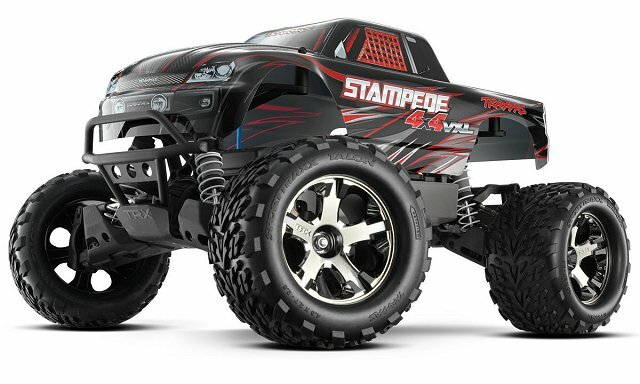 To race the Traxxas Stampede 4x4 VXL, it requires a high level of tuning for improved stability when cornering, to keep it on the track and give you more grip under acceleration. Even the smallest change in your cars settings can make a Big difference. Our simple to follow instruction chart will show how to attain the best Set-up for your personal requirements. Buying a used Traxxas Stampede 4x4 VXL Electric Monster Truck, or any used RC Model, has a number of advantages. It is generally cheaper than new, ready built and may come with a variety of expensive hop-ups already installed. Cheap, pre-loved bargains are always becoming available. However, depending on the age of your purchase, it may need a little tender loving care before you can take it out on the back yard.